Click Here to read Dr. Keck's latest article! Pediatric dentists educate the child using models, computer technology, and child-friendly terminology, thus emphasizing the importance of keeping teeth strong and healthy. In addition, they advise parents on disease prevention, trauma prevention, good eating habits, and other aspects of the home hygiene routine. 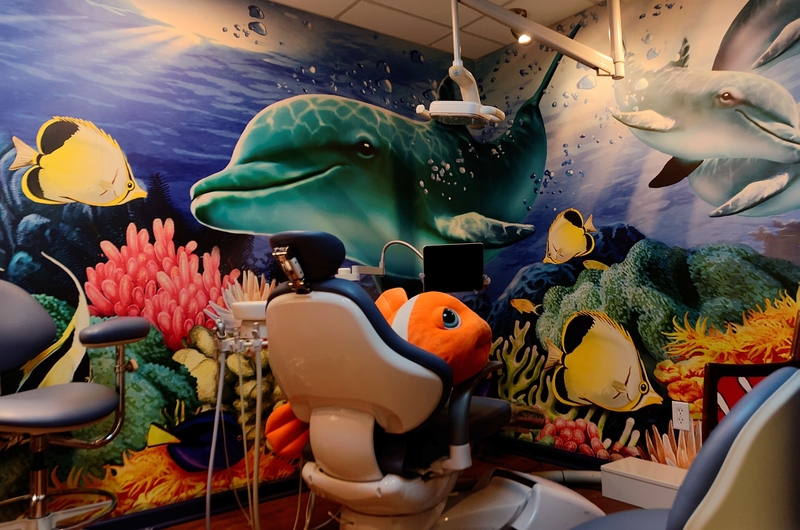 By continuously tracking growth and development, pediatric dentists are able to anticipate dental issues and quickly intervene before they worsen. Also, working towards earlier corrective treatment preserves the child’s self-esteem and fosters a more positive self-image. Helping parents and children establish sound eating and oral care habits reduces the chances of later tooth decay. In addition to providing check ups and dental cleanings, pediatric dentists are also able to apply dental sealants and topical fluoride to young teeth, advise parents on thumb- sucking/pacifier/smoking cessation, and provide good demonstrations of brushing and flossing. In some cases, pediatric dentists may discuss the possibility of early oral treatments with parents. In the case of oral injury, malocclusion (bad bite), or bruxism (grinding), space maintainers may be fitted, a nighttime mouth guard may be recommended, or reconstructive surgery may be scheduled. If you have questions or concerns about pediatric dentistry, please contact our Rochester office.